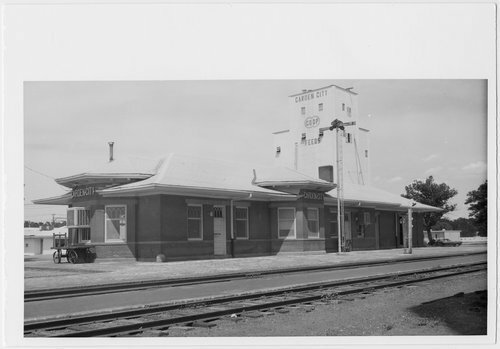 This photograph shows the Atchison, Topeka and Santa Fe Railway Company depot at Garden City, Kansas. The one-story "prairie style" station features a hipped roof with a semi-hexagonal operator's bay and a matching bay at the waiting room end. The depot has been refurbished and is used by Amtrak.